Need a virtual summer road trip? In traveling from meetings in Indianapolis where my hotel overlooked the Capitol of Indiana, then landing Monday evening in Bismarck where the Capitol towers on the prairie to then traveling yesterday to Pierre, South Dakota, I visited three capital cities in less than 24 hours. It got me thinking about sense of place and home, how our states are so different yet similar and how we define home. I had my camera to capture the Capitol in Pierre, South Dakota. The character and ornate detail was beautiful. 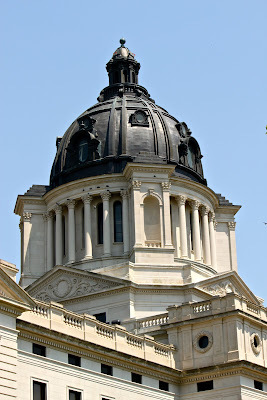 What struck me about seeing South Dakota’s Capitol yesterday was the uniqueness of each state, the individuality. Yet, South Dakota became a state the same year as my home state did, North Dakota. We were just Dakota Territory until 1889. We are connected. Whether I am in Indiana, South Dakota or North Dakota or elsewhere, I know we all share common values and connections. I love the individuality of states. I love the pride people have in their states. But we are united I was reminded of yesterday. and there was nothing but miles of grasslands. I rolled down the windows, allowing the hot breeze to blow while I listened to birds and bugs. It’s my sense of place. But it’s the United States that is my home. It’s this land that gives me the freedom and ability to have a voice, to listen and learn from others, to connect in person or here on this blog, to pursue a career, to see my daughters have equal opportunities to my son and the list goes on. 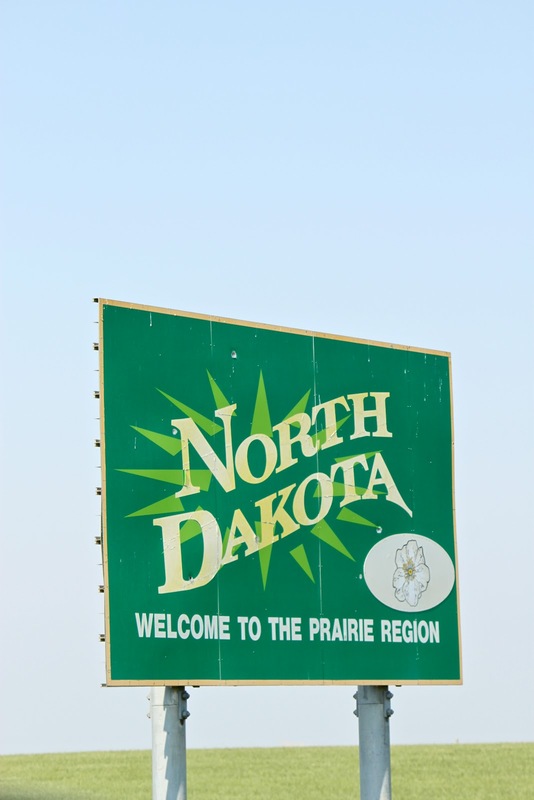 Both Nathan’s and my family’s staked out their homes here in the North Dakota not because of the state but because of the country. We had big corporate, big city dreams but learned North Dakota was the state we needed to stake out our home in to keep our family roots where they have been established for generations. It has not always been the easy choice to make a life on the prairie. It wasn’t easy for our ancestors either but we are proud Americans on the prairie. Inspiring as usual, Katie! I like the paragraph right above the Welcome to ND sign. Through travel and SM our world is becoming bigger and smaller at the same time. Think about all the places you travel and most likely you already have a contact there or near by. I live on the SD prairie, but here will always be a special place in my heart for my home state of NE.